The Mercedes Generation EQ concept from the Paris Motor Show. 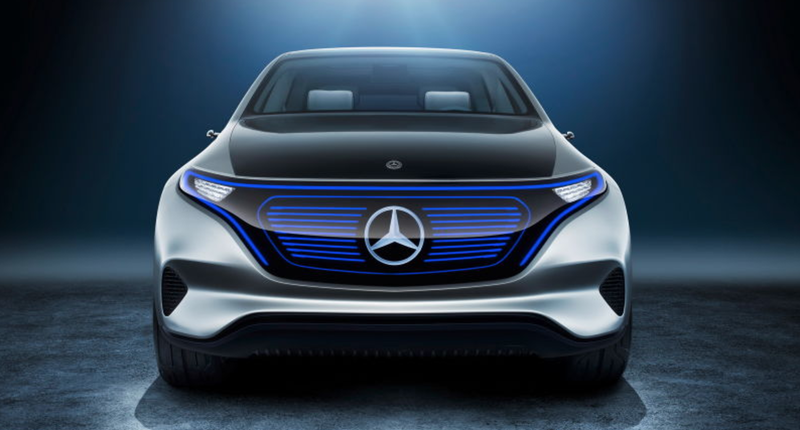 After trademarking the name for its new electric-car brand and introducing a 400-horsepower concept car to go along with it earlier in 2016, it sounds like Mercedes-Benz has some, well, abundant plans for the brand. If the plans play out, there could soon be more Mercedes EVs than you can count on both hands. There won’t be any cars from Mercedes’ sub brand, “EQ,” until 2019, but things are going to multiply quickly. Once the production ramps up, Car & Driver reports that the company plans to introduce a new electric car model every year. That’s quick and ambitious for a market segment that made up less than one percent of U.S. car sales in 2014, when considering that 43 percent of EVs sold worldwide that year were in America. Despite the low numbers, even the passive consumer of car news knows that electric cars are the next big step in the industry. And in stepping toward that, Car & Driver reports that Lührs said the company will introduce plug-in-hybrid versions of each car on the current Mercedes lineup by 2020. Lührs also discussed the electric-car industry, other manufacturers, connected vehicles and more on the sharing of private cars. The full piece can be read here.